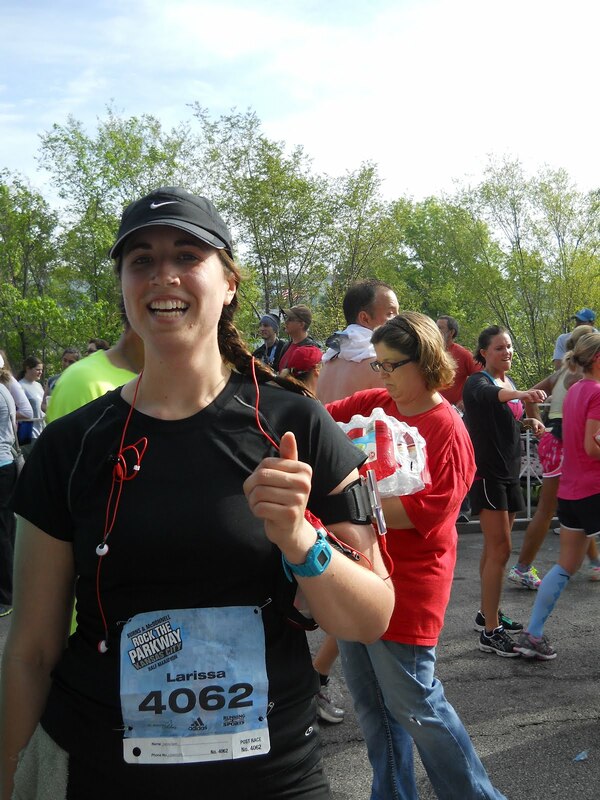 Yesterday, I got up early and ran 13.1 miles….again. I did this last fall and it was a HUGE accomplishment for me, the girl who faked sick to get out of running the mile in 7th grade. I chose to do it again. I must have forgotten the long hours of training, the aches and pains that is causes. …. how early you have to get up to be there. …. that at mile 8 you just want to sit down. …. how painful those last couple of inclines are. …. how badly my toes hurt. ….. the stomach ache is afterwards. I must have realized that it was all worth it. Worth that feeling of raising your hands in the air and crossing the finishline! Worth knowing that you did something hard and challenging before 10am on a Saturday Morning. Worth that hug that my Dad gave me when I finished. Worth the GIANT running medal that I received. Worth the 3 pints of chocolate milk that I got to drink afterwards! Everyday I tell my students that the hard work they do now pays off later in life. I tell them that doing homework and sacrificing time will be worth it. I tell them that grammar homework will help them down the road. This was how I lived it out for them. 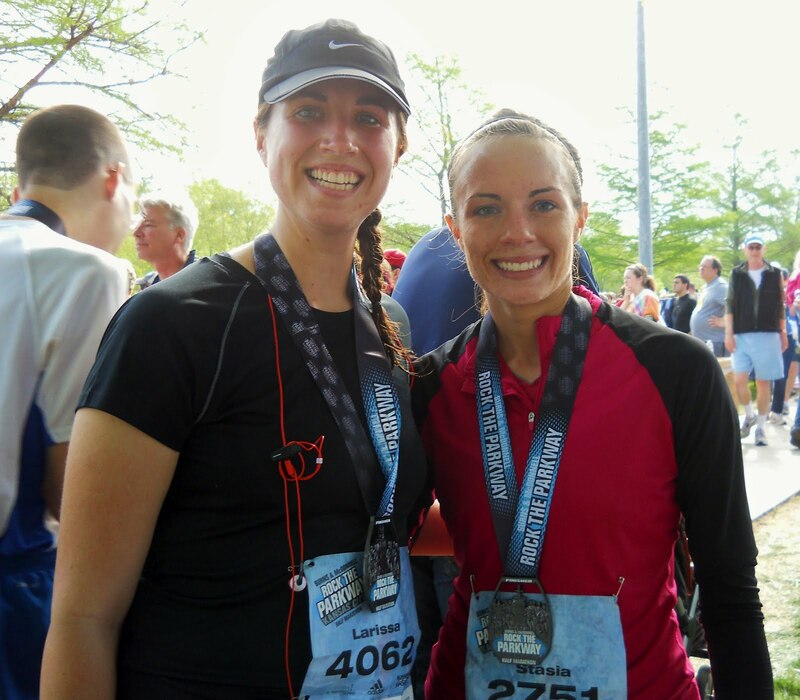 I ran 13.1 miles…..and pushed myself to run faster and harder than any other time I have run. I challenged myself so that my words to them carry weight. a crazy person who runs 13.1 miles and loving it! My sister ran too! She was always the athlete, so it feels pretty good to be able to hold my own against her! When is the end result worth it for you? What areas in your life do you need to challenge yourself? Ideas for my next challenge? Way to go girl! You're amazing and crazy and I love it!